Speedway Australia welcomes Adelaide’s Brad Keller to World Series Sprintcars, the 31st Annual Tour. As a kid, Brad Keller dreamt of racing Sprintcars, most especially the mantle of Australian Speedway - World Series Sprintcars. He cut his teeth racing Speedway Dirt Karts and Lightning Sprints before serving an apprenticeship in the high horsepowered winged wonders. In a short time, Brad has tasted considerable success in the division winning the 2014 South Australian Sprintcar Championship at Murray Bridge and more recently the highlight of his career to date, The George Tatnell Cup as part of WSS30 at Adelaide Motorsport Park. Keller, a graduate of the 2008 Speedway Australia Rising Star Program will be joined by motorsport enthusiast James Rosenberg who have formulated the BKR - JRR Sprintcar Racing Team with hopes of strong performances as they travel the nation. "There are a few tracks we have not raced at so we will take it one race at a time and hopefully have positive results along the way, It would be good to jag a couple of wins though." Keller smiles. Brad will campaign Maxim Chassis’ powered by the Adelaide based Maxwill Race Engines and has worked tirelessly to gain support for his attempt at World Series glory with business houses Shadetec, Bunyip Print, Daniel Trucking, Peter Page Holden, TAA Ross Contractors, Fatchen, Spitwater, Steve Wicks and Sons Powdercoating coming on board to lend a hand. 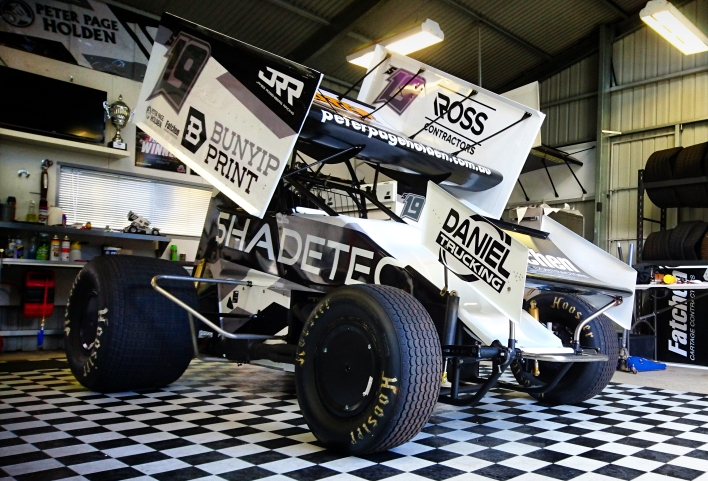 “It’s pretty cool that Bunyip Print, one of our team’s major backers are also supporting World Series Sprintcars as naming rights sponsor for the Rookie of the Year Award. I’m hearing there may be up to a dozen drivers eligible for the award including us and I suspect it will create keen interest and performance among the mix of youth and experience of those eligible.” Keller said. Drivers eligible to date for the Bunyip Print Rookie Award include Lachlan McHugh, Jye O’Keeffe, Darren Mollenoyux and Keller. Keller will campaign a number of local shows before he contests Round 1 of WSS31 scheduled for Murray Machining and Sheds Murray Bridge Speedway on Boxing Day December 26. Photo: Sitting pretty, The new BKR-JRR Maxim ready for World Series Sprintcar action.